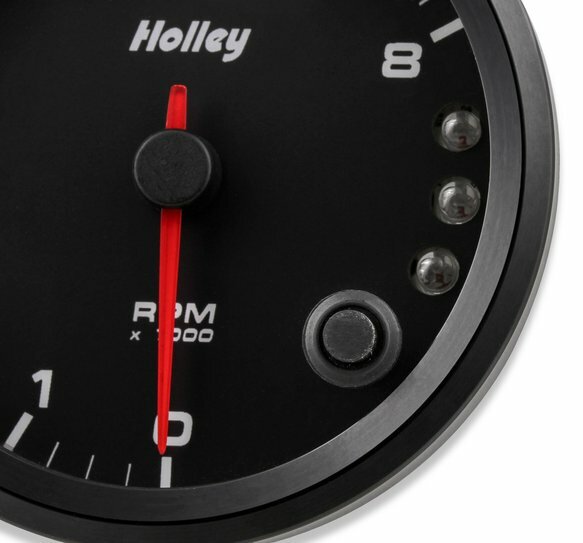 Holley analog-style standalone tachometers with internal LED shift lights gives you a simple yet modern way to measure engine RPM's. 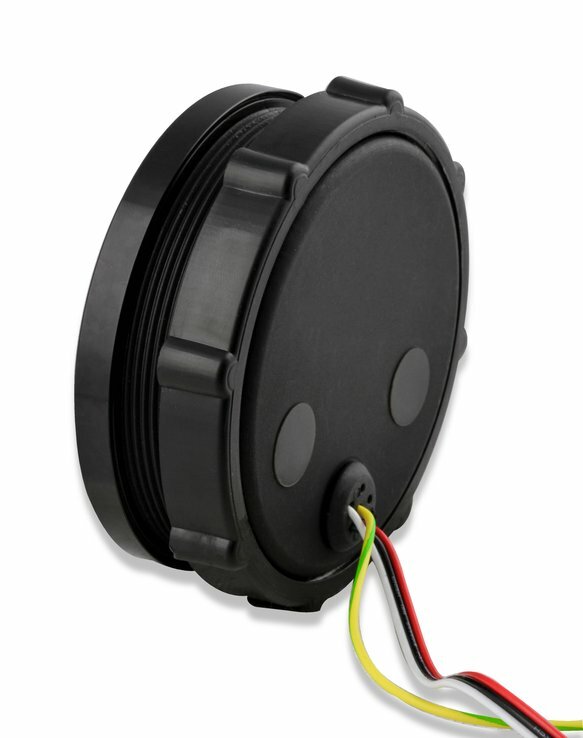 They are available in both 8,000 RPM and 10,000 RPM versions and their slim style mounting requires very little dash space depth for mounting. 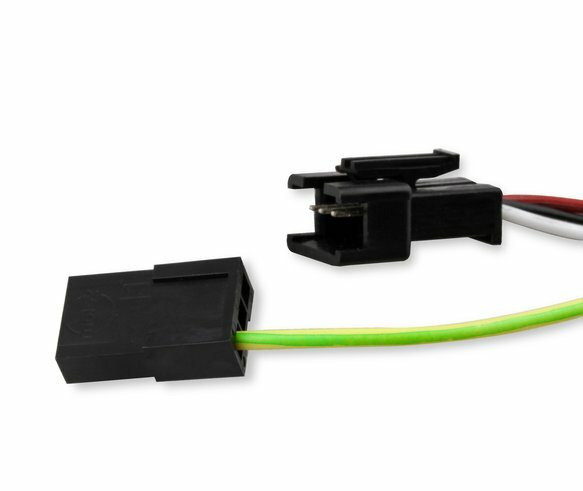 Our tachometers are practically universal since they work with most gasoline engines and programmable from 0.5 - 6 Pulses Per Revolution (PPR). 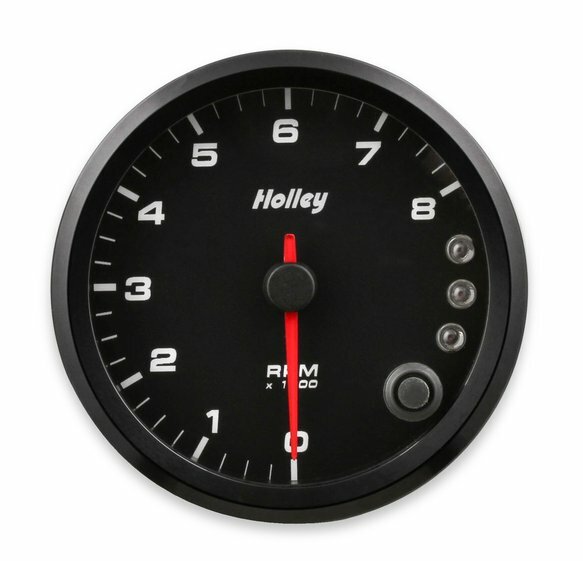 All of our Holley tachometers feature dimmable LED backlighting to ensure you can always see the right RPM no matter the environment. 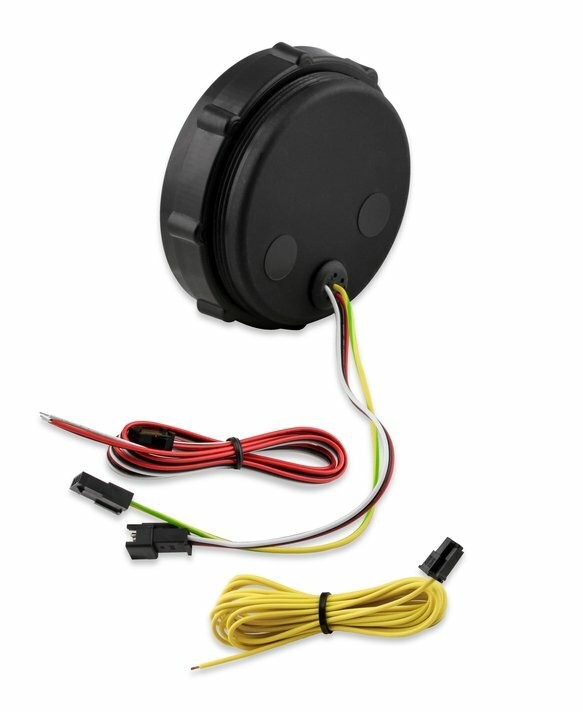 Each tachometer is tested to insure top quality accurate readings. Holley tachometers are designed for a 3-3/8" or 4-1/2" opening and available with black face with white lettering or white face with black lettering.